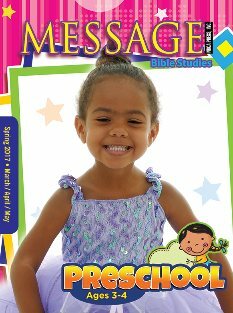 The Message Bible Studies for Preschool quarterly includes rich imagery that draws the students into the text visually. There are great Bible stories and a parent’s note. The activities are both fun and engaging.